While the interest rate pause is getting the most attention – the balance sheet pause could be the most important one for investors over the coming years. As explored herein, the impact of pausing the unwinding the balance sheet is to create a new floor at about $4 trillion in Federal Reserve assets. 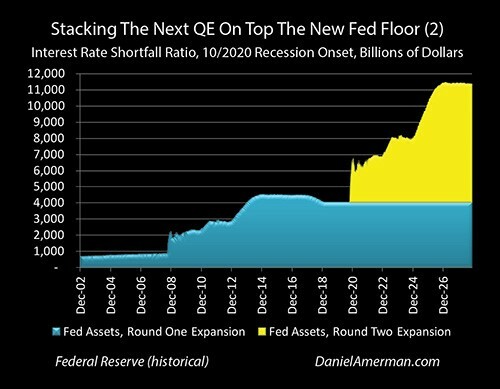 And if the business cycle has not been repealed and there is another recession – the Fed fully intends to go back to quantitative easing, potentially creating more trillions of dollars to be used for market interventions, and to stack another round of balance sheet expansion right on top of the previous round. “Our advice is to own as little exposure U.S. equity exposure as your career risk allows.” – Martin Tarlie, member of portfolio allocation at Grantham, Mayo, Van Otterloo investment management. 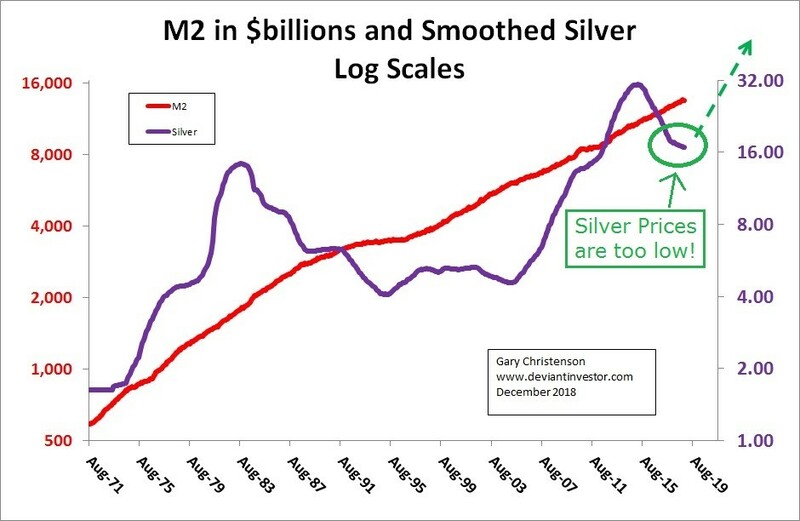 Here is a single chart that proves how completely the Fed’s end-game for its recovery failed, which means the fake recovery, itself, is failing. It’s not hard to figure out what happened here. Talk about a euphoric rise at the end of the Trump Rally heading into 2018, followed immediately by a massive blow-off top. When you compare the size of the blow-off to the total size of the S&P 500, it looks almost like Mount Saint Helens blew its top off. It is crucial for investors to understand that the Federal Reserve has not yet turned dovish and the Fed “Put” it not yet in place. Wall Street sometimes hears what it desperately needs, but that does not make it fact. While Jerome Powell has moved incrementally towards the dovish side of the ledger in the past few weeks, the Fed is still firmly in hawkish territory. If, however, Mr. Powell was actively reducing the Fed Funds Rate (FFR) and expanding the balance sheet, then we would have a dovish Fed. 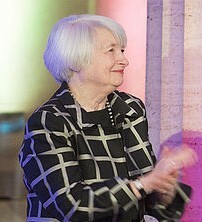 However, by just indicating that the FOMC might be close to finishing its rate hiking campaign, while still selling nearly $50 billion of bonds every month from its balance sheet, the Fed is still tightening monetary policy–and in a big way. The epoch bond bubble continues to build and become a dagger over the worldwide economy and markets. Wall Street Shills are fond of claiming that global bond yields remain at historically low levels due to central bank manipulations, but this argument is no longer tenable. It was once true, but QE on a net global basis has now gone negative. 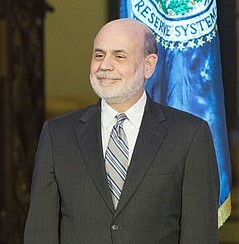 And the data shows the amount of U.S. publicly traded debt relative to GDP is much greater today than it was prior to the start of the Great Recession—even after adjusted for the size of the Fed’s balance sheet–in other words, taking into account all the debt the Fed has purchased and is still rolling over. The amount of publicly traded debt in the U.S. has soared to 58% of GDP. This is up from 29% in 2007 when the U.S. 10-year Note was yielding 5%. The Fed is now selling $50b of bonds each month, with an extra $7.8T in publicly traded debt that it doesn’t own; and that equates to nearly 2x the amount of debt compared to GDP than what existed just prior to the Great Recession. This debt must now be absorbed by the private market and at a fair market price, instead of just purchased mindlessly by the Fed…and yet yields are still falling. This means investors are piling into sovereign debt for safety ahead of the global economic crisis even though they understand that debt is, for the most part, insolvent.